NEW* Blue Wool Cape Top. 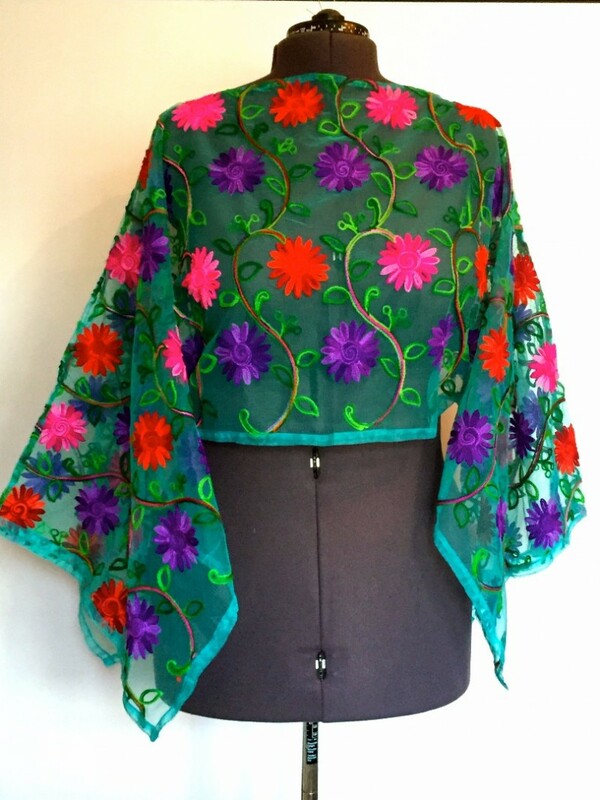 Sheer colourful flower wool embroidered cape blouse (with sleeves). 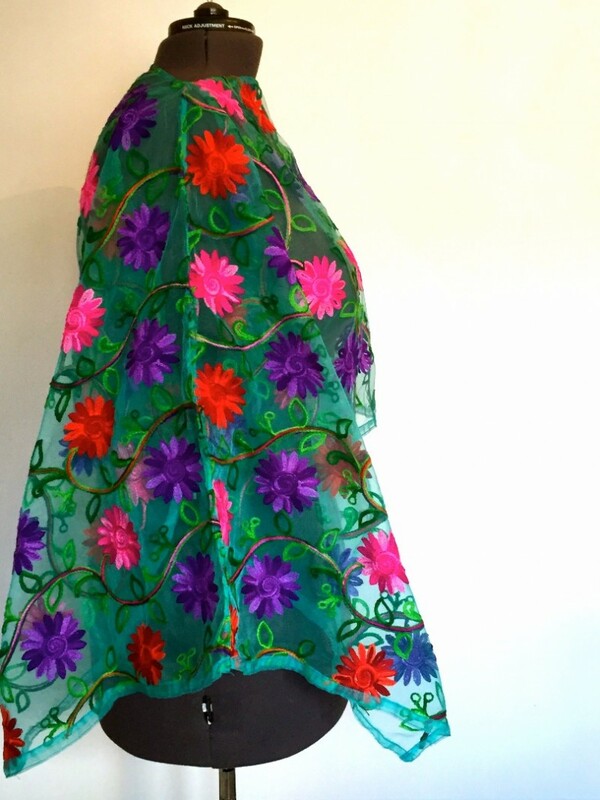 Great cape blouse for the autumn season. Short at front, long at the back.